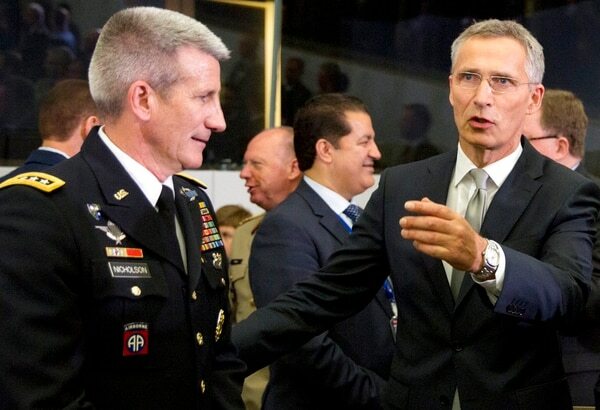 BRUSSELS — The U.S. will intensify combat against the Islamic State affiliate in Afghanistan during the Kabul government’s temporary halt to attacks on the Taliban, senior U.S. officials said Friday. 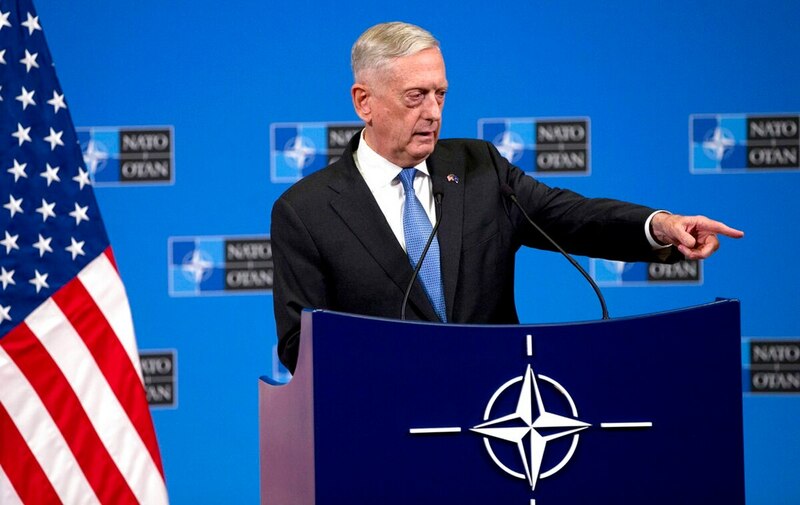 Mattis spoke to reporters during a break in a NATO defense ministers meeting, which included a discussion of progress and problems in Afghanistan. The ministers also discussed more broadly the international campaign against ISIS, which has focused since 2014 on eliminating the group’s so-called caliphate in Iraq and Syria. “If the Taliban take full advantage of the cease-fire in the best interests of the Afghan people, then many of the surveillance assets that we have overhead can be reoriented to ISIS-K, to al-Qaida and other foreign terrorists that have no business being in Afghanistan in the first place,” Mattis said. ISIS-K is a name for the Islamic State affiliate that operates in three provinces in eastern Afghanistan. “The potential benefit is greater than the risk,” he said, expressing hope that what Ghani called a weeklong pause could lead to something more substantial and improve prospects for actual peace negotiations. The Taliban has insisted that it would negotiate only with Washington, but the U.S. insists that it talk to the Afghan government. Nicholson, however, credited Trump’s policy with producing early signs that the Taliban might be considering peace talks, although the militant group has not publicly acknowledged it is considering negotiations with the Afghan government. “I do think the policy is working. It just needs more time,” he said. “We are concerned about any external enablement (of the Taliban),” he said. “We do believe that the Russians have increased this kind of activity.” He characterized this as “small-scale support” for the insurgency.